Being in Colombia has given us the opportunity to witness the impact that parent training has on children with cleft palate speech. We have been providing parents with strategies and techniques to practice with their children at home. Within a few days, we have been able to see great improvements on many of our clients. Their motivation and commitment has been inspiring to us all. Earlier today, the Governor of Neiva and the First Lady visited us during therapy. The children were very excited to see the toys that were given to them. Seeing their eyes light up was heartwarming. This has been an unforgettable experience for us all including the children. We also took a trip to a nearby town called Rivera where we enjoyed typical Colombian dessert. After, the Air Force General invited us to a helicopter ride to see a bird’s eye view of Neiva. In addition, we were interviewed by the press about our involvement with Healing the Children. Great to read your comment, dear Angela! 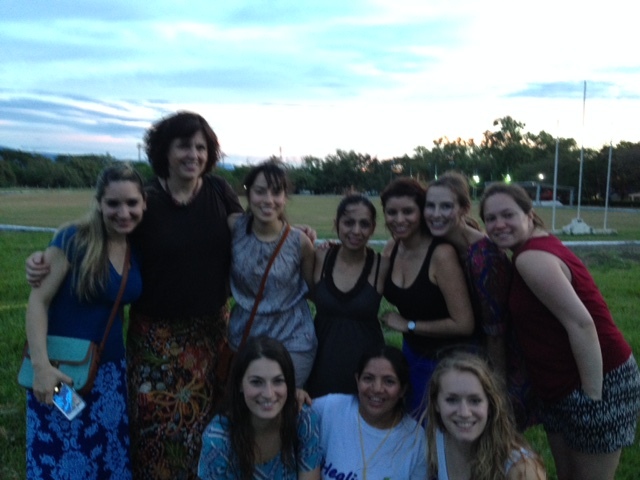 My experience traveling to another country to provide speech and language services was unforgettable as well. Because of that incredible experience, I will be building bottle schools in developing countries in the near future and providing parents with strategies to use with their children in who have speech and language deficits while I am there. Thank you Cate for allowing me to be a part of such a positive experience 4 years ago!